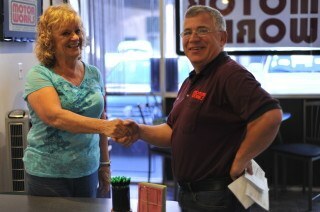 Here at Motor Works, we truly appreciate when our clients send their family and friends to us. We know that they have paid us the highest form of compliment any business can receive, and we cherish the trust they have in us. In an effort to help our clients spread the word, we’ve re-engineered our referral program, to make that process as simple as possible for everyone. 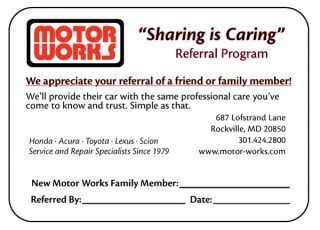 When you refer someone to Motor Works we gift both of you with GregBucks, to show our appreciation for the compliment and for helping us to start a new relationship off, on the right foot. Everyone wins, we love that! Either click on the referral card to print it out, or fill out the form below to send an email to your friend!